ERP systems usually encompass the financial and accounting, manufacturing, sales and operations, customer relationship management and other functions within a business and automate activities within an integrated solution. Their primary purpose is to facilitate the flow of information between all the business functions inside the confines of the organisation and manage the connections to external stakeholders. There are a wide variety of applications that we have developed for clients, which are responsible for the majority of data processed by their businesses. 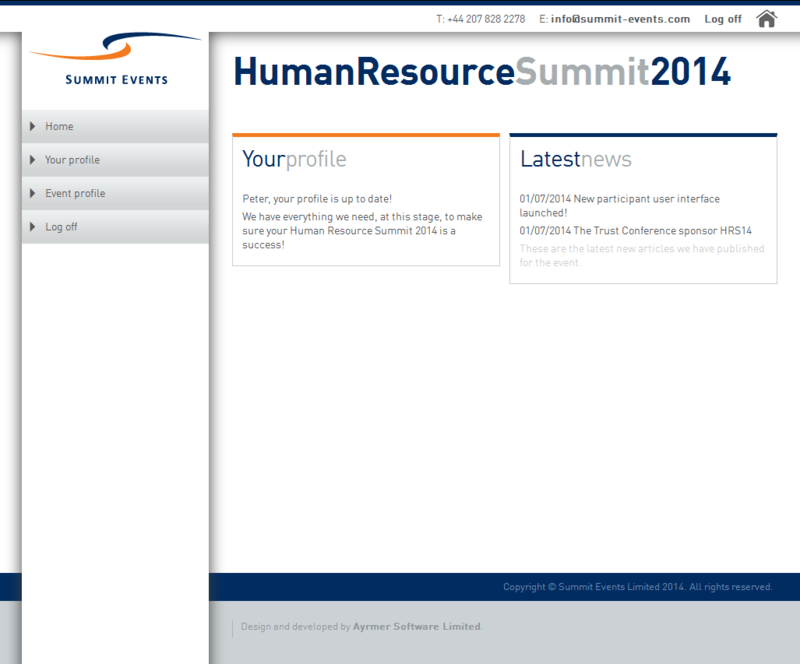 Summit Events Limited is a great example that includes a user interface that enables summit attendees / participants to access details about events they are attending. We've previous developed a solution for a chain of retail outlets that helps the business manage their stock control, stock replenishment, inter-company transfers and Point of Sale (PoS). The underlying stock catalogue also feeds their websites, ensuring up to date information about products is always synchronised across the entire business.